Submitted by Taps Coogan on the 5th of July 2018 to The Sounding Line. Through its extensive trade network and direct foreign investments via its One Belt One Road initiative, China has been busy creating the most cohesive alternative global political order to the West since the fall of the Soviet Union. 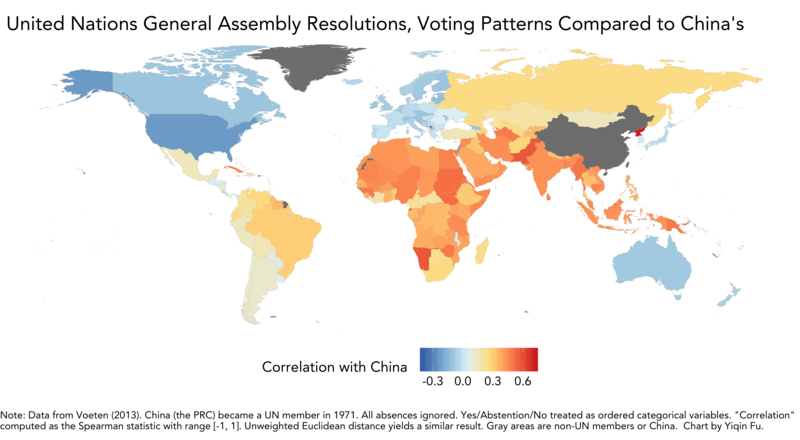 One way to visualize the increasing bifurcation of the geopolitical world between China and the West is with the following chart, from Yiqin Fu, which shows the degree to which countries’s UN votes align with China’s votes. 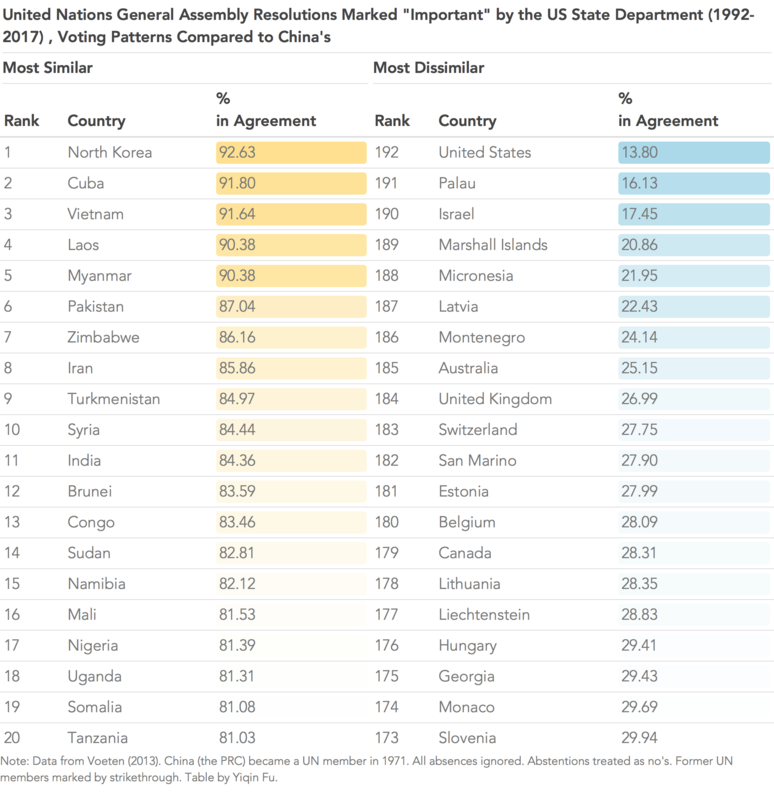 As the following table details, North Korea votes with China at the UN more often than any other country in the world. North Korea is followed by Cuba, Vietnam, Laos, Myanmar, and Pakistan. The US votes least often with China (just 13.8% of the time) followed by Palau, Israel, and the Marshall Islands. 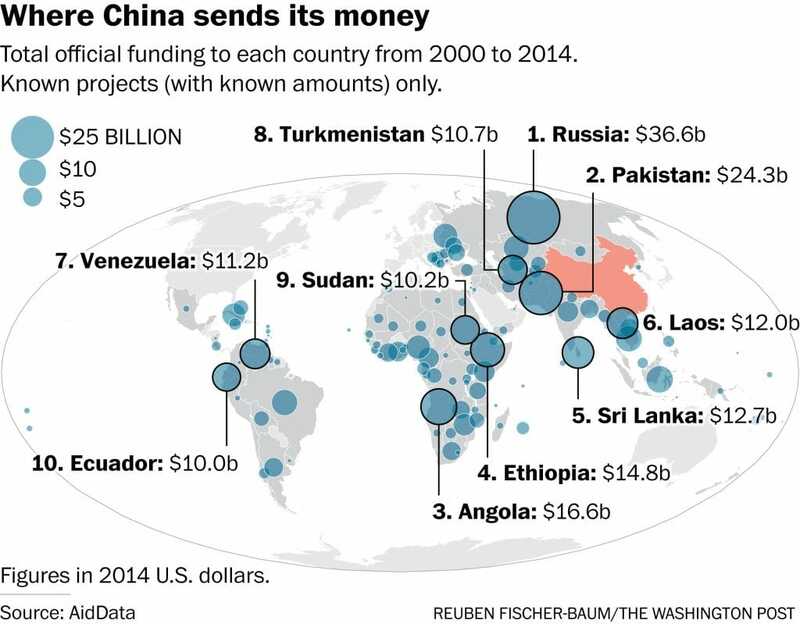 The following chart details known official Chinese funding around the world through its ‘One Belt One Road’ program. It correlates well with the map of countries that vote with China at the EU. It should come as no surprise that the largest recipients of China’s foreign investment support it most ardently at the UN. 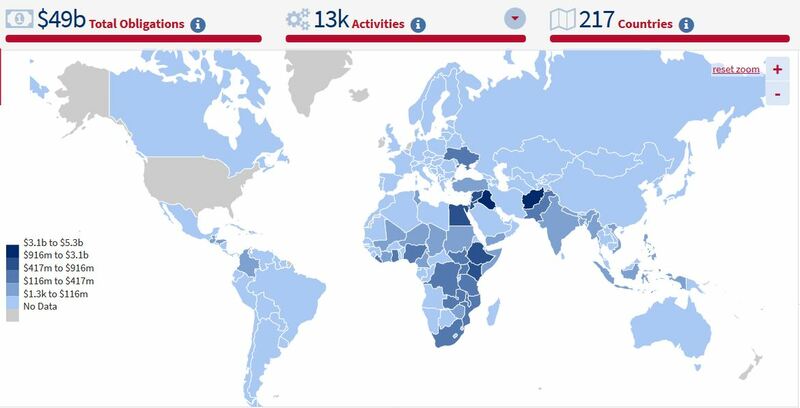 Yet there seems to be far less correlation between those countries that receive the most American foreign aid and their agreement with the US at the UN. It is worth pondering why countries which receive the most US foreign aid are the most likely to oppose the US at the UN and the extent to which that should effect funding levels.